Have you been looking for another source of income that you can access from the comfort of your own home? Day trading might offer you that source. It is with day trading as with most other areas of business; preparation is key. You will need to understand your cost factors and your possible revenue stream before beginning. In this article, we take you through what day trading is and how to do it. Day trading is a method of investing which profits on small market movements by opening and closing trades within 24 hours, nothing is held overnight. This type of trading demands that whatever you trade must move a lot and quick, which means most day traders favor stocks and currency exchange, which fits those criteria. It differs from buy-and-hold trading, by mainly focusing on trades with a short term prediction and it differs from swing trading by holding your positions for a much shorter time. So what are the main benefits of day trading? One of the biggest upsides to day trading is the whole world becomes your office. Given the nature of online trading, you can work from anywhere, be it in your own home, a train through Europe or on a beach somewhere warm. The only requirement is a laptop with the correct software and a (preferable high speed) stable internet connection. Of course, being your own boss is properly also going to be a nice change. If you think you will find a way to make money which only takes a few hours a day, you are going to be disappointed. Many people think that working from home means working less, but that is far from reality. When you are working for yourself, you have to fill all the roles of a company, both research, and trade execution. And this is where you make your money, research. You might only trade for an hour or two a day, but spend 6 or 8 hours to find those trades and make a strategy which maximizes the profit made on them. The importance of proper research is hard to overstate and you will quickly discover that there is a direct correlation between the amount of time spent researching and the number of successful trades you make. If the points laid out above seems interesting to you, you might be wondering how to get started. 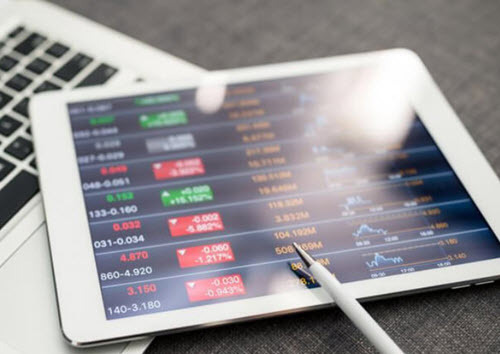 This article will offer up five basic concepts which you need to become accustomed with to start your day trading career. The very first concept of interest is risk, and maybe even more interesting to you ‘risk management’. A simple and proven way to manage risk is to cut losses fast, meaning you get out of a deal that’s not turning a profit, as fast as possible. Understanding how much risk goes into certain trades will make able to determine if they are right for you and fit within your strategy. Another important note on risk is that with risk comes value, so by being willing to take more risk the opportunity for higher profits follows. You can learn a lot about risk by reading different books about poker and casino gambling. Professional gamblers need to be very skilled at risk management to be able to make money. Poker books is therefore often much better sources of information about risk management than finance books are. A gambler in a casino knows that he always have the cards stacked against him. He need to manage this risk and overcome the casino edge to be able to earn money. The key to this is to know how to limit the losses when the odds are against you and maximize your winnings when luck is on your side. Successful gamblers know all about risk management and use this knowledge to their advantage, They use basic techniques such as gambling in a casino with a low edge, such as Leovegas online casino, as well as more advanced bankroll management techniques designed to eliminate luck from the equation. I recommend that you read a few poker books to learn more about risk management if you want to become a day trader. Technical analysis is a part of proper research. After you have found the assets you think are worth looking into, you have to find different charts of each asset to find out if it performs as you want it to. This entire step comes down to your ability to read and understand charts, so if you feel rusty in this area it is very important you refresh that skill. This is one of the things you look for when analyzing assets, you are working to find distinctive patterns in the market. Certain patterns will show them self over and over again, and you have to take advantage of these. By trading alongside these patterns, you can up your chance of profit significantly. If you want to start trading you will need some software to do so. The software traders use can basically be broken into two categories; trading and charting. The trading software is the one you use to actually make and execute trade deals. The charting software is made to assist you with the analysis part by making you able to plot any data you might find relevant. But not all software is created equal, and you will thank yourself later if you do your homework and choose the right one for you and your style. Use online forums to help you along. Your broker is the one that facilitates the trades you are going to make. When choosing a broker, looking out for safety and regulation is of uttermost importance. You want a large broker that is regulated by preferably two agencies, a local one and an international one. You might get one broker now, but do not sweat it, you can get a new at any time and it is normal for traders to go between brokers. This was a slight introduction to the world of day trading, now go from here and do some research on the points laid out above, get a trading account and try your (luck) strategy.